Anyone remember the day a handsome young man named Korky became Editor in Chief of the K&TCA Newsletter. It was seventeen years ago when the human partner of the team, his mum Sylvia, took on the task of producing the magazine. Of course, Korky the Korat decided it was a paws-on job. Sylvia reported that her precious cat was absolutely convinced he had responsibility to type and print the text so would sit on the keyboard. Then he would assist with scanning and proof reading by plonking himself on exactly the next set of papers she needed. I’m sure we could all picture it exactly. When I think of Sylvia, that’s how I remember her most, recounting Korky’s exploits, and later he was joined by a partner in crime, little Rosie. They were lovable rascals, much adored, and although I never actually met them I got to know them as characters through Sylvia’s tales. Sylvia continued as Newsletter Editor for some seven years, ensuring at least two editions a year kept members up to date with Korat news. 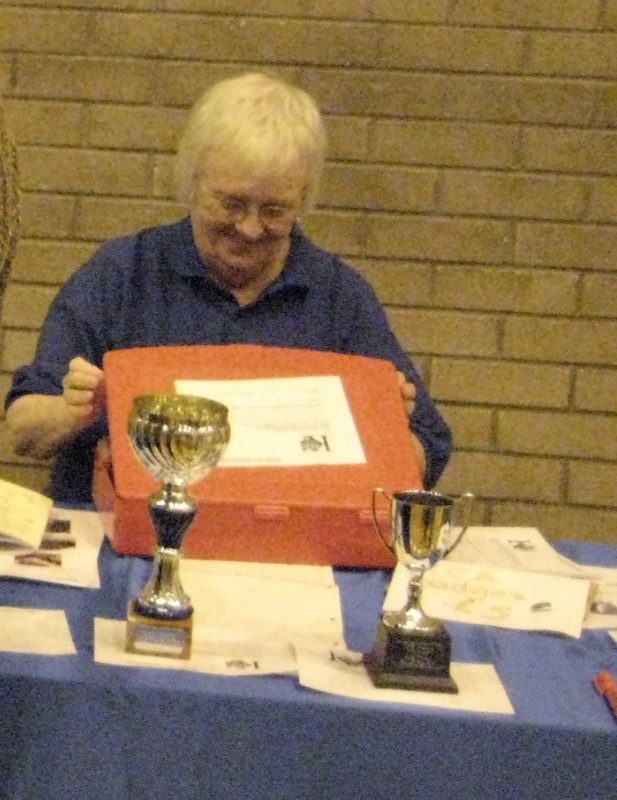 She had stepped into the breach when there was no one to do the job after the passing of Ianthe Cormack, and made a commitment because of her love of Korats and her loyalty to the club. She did it quietly and efficiently, much of the time working behind the scenes as she didn’t breed or exhibit, though you could meet her at club shows or supporting at the Supreme on occasions. In 2007 she was Vice-Chairman when there was another sudden death. 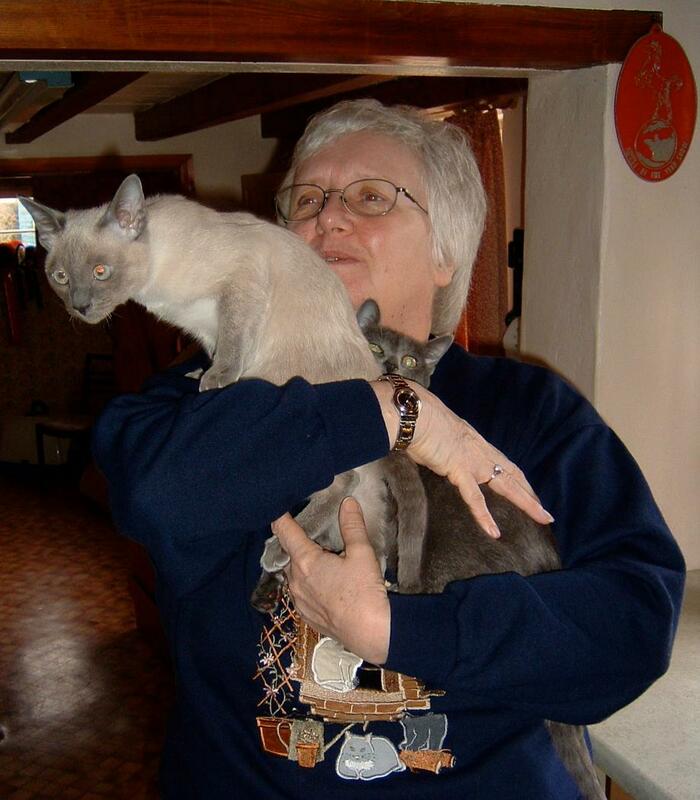 Anthea Whitehouse, our Chairman, who had been so passionate in her Korat involvement was no longer with us. Sylvia was called to the fore again and she didn’t let us down. She took the chair for the next three years, handing on the baton to husband, Bill. Sylvia remained on the committee, but sadly attending meetings became increasingly difficult as she struggled with failing eyesight. However, her Korats were a tremendous comfort and when Korky was no longer around she chose to have Max from me to fill the void. And now another stalwart is no longer with us. Our thoughts are with Bill and the other family members, but Korky’s patient wait at the bridge is over.